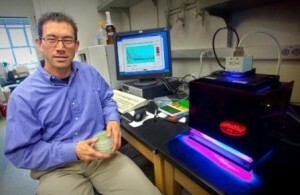 The discovery that an ancient light harvesting protein plays a pivotal role in the photosynthesis of green algae should help the effort to develop algae as a biofuels feedstock. Researchers with the Lawrence Berkeley National Laboratory (Berkeley Lab) have identified the protein LHCSR as the molecular “dimmer switch” that acts to prevent green algae from absorbing too much sunlight during photosynthesis and suffering oxidation damage as a consequence. The kelp forests off southern California are considered to be some of the most diverse and productive ecosystems on the planet, yet a new study indicates that today's kelp beds are less extensive and lush than those in the recent past. 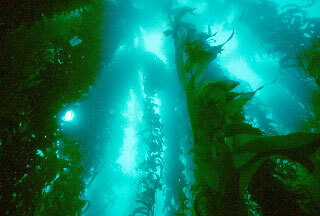 The kelp forest tripled in size from the peak of glaciation 20,000 years ago to about 7,500 years ago, then shrank by up to 70 percent to present day levels, according to the study by Rick Grosberg, professor in the Department of Evolution and Ecology and the Center for Population Biology at UC Davis, with Michael Graham of the Moss Landing Marine Laboratory and Brian Kinlan at UC Santa Barbara. The shoot apical meristem continues to make leaves, flowers and branches throughout a plant's life, so it must contain stem cells. These reside in a complex three-dimensional structure consisting of perhaps three dozen stem cells surrounded by niche cells and millions of differentiating cells. This makes the stem cells within the meristem hard to isolate. In fact, most researchers pursuing genomic studies of plant stem cells have turned instead to roots. 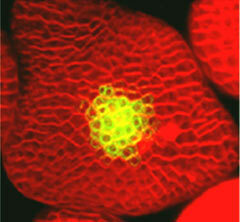 Now, using an Arabidopsis thaliana mutant that produces an unusually high number of accessible shoot apical meristems, G. Venugopala Reddy of the University of California, Riverside and his colleagues have found a way to study shoots and have produced a gene-expression map of the meristem that reveals the molecular signatures of these elusive stem cells.